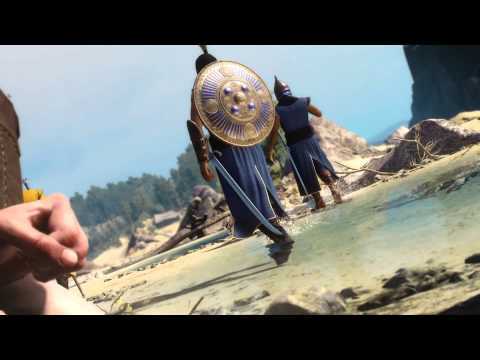 Discover the epic saga of Geralt of Rivia. You are Geralt, from the city of Rivia. All around you the towns and settlements of the Northern Kingdoms are being razed to the ground, as an invading, otherworldly army known only as the Wild Hunt leaves a trail of blood-soaked destruction in its wake. As you prepare for a thunderous confrontation with the Wild Hunt, you’ll uncover a complex, gripping story and meet unforgettable characters. And as you explore the Northern Kingdoms, you’ll discover that mysteries lurk within every village, tree and shadow. An epic story awaits you in the heart of the Northern Kingdoms. Enter into an unlikely bargain with ruthless bandit Olgierd von Everec – a man with the power of immortality – in this additional story quest for The Witcher 3: Wild Hunt. Encounter more unforgettable characters, terrifying monsters and heart-rending choices as the legendary Geralt of Rivia returns in over ten hours of brand-new add-on content. Bewitching loves and terrible foes await you in the treacherous Northern Kingdoms: will you brave romance in the tavern or court death in the arena? It’s all in a day’s work for a professional monster hunter. 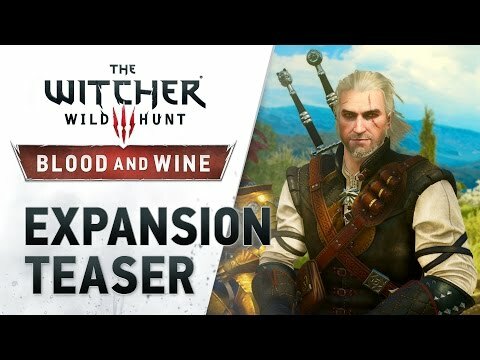 Travel to the remote and vibrant land of Toussaint - a completely new region of the Northern Kingdoms - in over thirty hours of additional content. Set in a tranquil province dotted with sun-kissed vineyards, stunning architecture and flamboyant locals, not all is as it quite as it seems as Geralt of Rivia sidles into town. Unravel the dark secrets behind a slew of mysterious murders which have begun to blight the region. With keen Witcher senses to guide you, embark on a new quest, featuring never-before-seen creatures and brand new weapons and armour with which to tackle them. Outside of the main story, there’s plenty more to explore. Collect a brand-new Skellige Gwent deck and challenge a roster of new opponents, take on additional Witcher contracts and even buy your very own vineyard. Discover what dark secrets lurk behind the tranquil splendor of Toussaint. Expand your adventure with a range of new missions, armour and hairstyles – free to download from PlayStation Store now. Trawl vibrant villages, boggy marshes and forgotten caverns in the heart of the Northern Kingdoms. Velen’s battle-scarred hinterlands are home to some of the nation’s darkest secrets and most dangerous beasts. Tread carefully among the endless wilderness, but be sure to leave no stone unturned. Navigate a web of wealthy merchants, religious fanatics and scandalous street-walkers in the grimy port town of Novigrad. A city divided by political rivalry and powerful criminal undercurrents, you’ll find words and wit serve better than any blade, so pick your allegiances carefully. Travel to an island nation of warrior clans, weather-beaten fishing villages and ferocious giants. The ancient peoples of Skellige respect two things above all else: the sea and their elders. Prove your courage before both to discover the true wealth of these frozen isles. 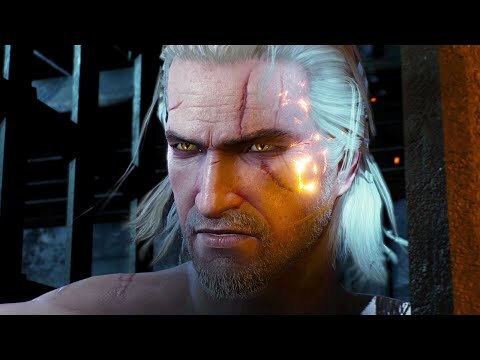 Geralt starts the game with two swords on his back: the left is steel, good when facing off against bandits or wild animals; the right is a witcher’s silver sword, specially designed for bigger prey like griffins, wraiths or werewolves. Your enemy’s health bar indicates which sword you’ll need, so always check: grey means silver; red means steel. Witchers can brew strong potions to temporarily boost their strength and stamina or endow themselves with other special abilities. New potion recipes can be collected as you progress, but be careful, there’s a limit to how many Geralt can withstand. Only take the ones you need and keep an eye on the green “toxicity” meter below your health bar. The key to success in monster hunting is preparation and knowing your enemy will make all the difference. Check out the ‘bestiary’ for information on your prey. Learn their strengths and weaknesses and gather everything you need before going into battle. While shopkeepers are well stocked, some specialist items have to be built to order. For a small price, armourers and smiths will build whatever you need: provide them with a diagram, the necessary materials and they’ll deliver the goods. They can also repair battle-damaged armour and weapons. 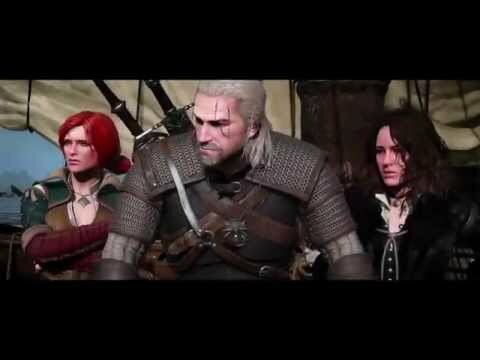 Geralt can use alchemy to create many items to help him in battle. Blade oils deal extra damage when wielding melee weapons, while bombs offer a range of ballistic effects and can be used both in and out of combat. Once synthesized, these items can be automatically replenished using strong alcohol. Exploring and looting is a cheap way to gather what you need, but it’s also time-consuming - merchants are more convenient, but they’ll charge handsomely. Sometimes it’s worth checking your inventory first: smiths can dismantle unwanted items to yield base materials, so you may already have everything you need. There’s plenty to discover away from Geralt’s main quest. Town noticeboards will provide new contracts or local rumours to follow up and are a great way to develop your skills. Track down a missing person, take out a bandit encampment or hunt for lost treasure – new items, additional experience or even a romantic tryst await the plucky explorer. Don’t be afraid to get stuck in. You can often tackle enemies and quests above your current level - particularly if you plan ahead. Don’t be afraid to dive in: enhancing your blade on a smith’s sharpening stone and applying a little blade oil may be all you need to bring down a foe two or three levels above you. Invite a fellow witcher into your world as a spectator or hand over control so they can guide your quest with Share Play - even if they don't own the game themselves. Hi everyone! My name is Akihiro Hino, president and CEO of LEVEL-5 Inc. Since founding my company in 1998, I have had the honour of sharing my creations with gaming fans around the world. While acting as General Director on my most recent project, Ni No Kuni II: Revenant Kingdom, I was blown away by […] The post Dragon Quest director and Level-5 CEO Akihiro Hino picks his favourite PS4 games appeared first on PlayStation.Blog.Europe. The PS Store Black Friday event begins this Thursday 23rd November but, if you’re a PlayStation Plus member, you can start making some serious savings today with two-day early access to the Black Friday deals**! Below you’ll find an incredible range of titles across PS4, PlayStation VR, PS3 and PS Vita. Whether it’s a full […] The post PlayStation Store Black Friday discounts start today for PS Plus members appeared first on PlayStation.Blog.Europe. Enter a sci-fi world of intrigue and deception in this week’s Deal of the Week: Arkane’s futuristic horror Prey. Available on PlayStation 4, you can explore the space station Talos I and try and survive an alien outbreak at a discounted price for one week. Visit PlayStation Store today! Buy Prey on PlayStation Store now […] The post New PlayStation Store discounts start today, save on Prey, Fallout 4, Nioh, more appeared first on PlayStation.Blog.Europe. Hey there PlayStation Blog readers! My name is Michał “Luigi” Dobrowolski, and I’m a Senior Game Designer at CD Projekt Red. For more than a year now we’ve been working on our latest title, which I’m here to tell you more about here today. Gwent started out as a mini-game in The Witcher 3: Wild […] The post Gwent: The Witcher Card Game public beta now available on PlayStation 4 appeared first on PlayStation.Blog.Europe.